National parks are not only full of unique floral and fauna, but they are free to visit and most offer reasonably priced overnight camping spots. 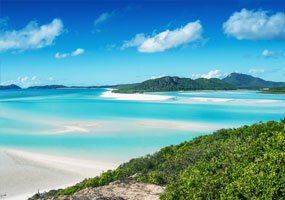 Check out our picks for the top 4 must see Queensland national parks. Eungella, west of Mackay, is one of Queensland’s most ecologically diverse parks in Australia and the longest stretch of sub-tropical rainforest in Australia. The picturesque landscape is a peaceful park perfect for rainforest walks, picnics and platypus spotting. 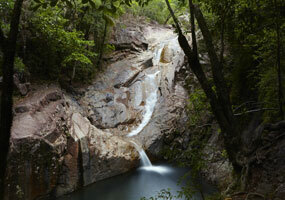 A 30 minute drive within the park is Finch Hatton Gorge. 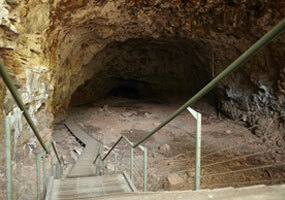 A popular place for long walks, wildlife spotting and a swim in the Araluen Falls to cool off. Lying approximately 25km off the coast of Airlie Beach, Whitsunday National Park is home to some of the whitest sand and clearest waters in Australia. Snorkeling, swimming and sailing are some of the water sports available. While on land enjoy panoramic views of hilly lush lands and pristine beaches, cultural and historical sights as well as whale watching. The Great Sandy National Park is separated into two sections, the Cooloola section is situated on the coast between Noosa Heads and Rainbow Beach in the Wide Bay region, the Fraser Island section of the park encompasses most of Fraser Island, the world’s largest sand island. The park features lush rainforests, giant sand dunes, beautiful beaches, freshwater lakes and mangroves.See our suggested itinerary. A change of pace from rainforests and turquoise water beaches, travel south-west of Cairns to the Undara Volcanic National Park. Remains of one of earth’s longest flows of lava from a single volcano can be thoroughly explored here. Gem fossicking is also popular in Undara with minerals including topaz, garnet and aquamarine. Start planning your national park adventure and book your campervan hire today. 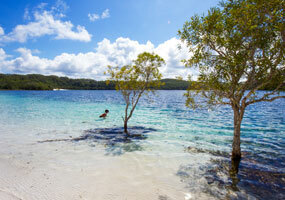 For more information about visiting National Parks across Australia see our helpful guide. Camping and Visiting National Parks.